Valentine’s Day can be a tricky holiday. It’s nice to tell all those around us that we care….but it can also get pretty pricey pretty quickly to buy well thought gifts for everyone we love. 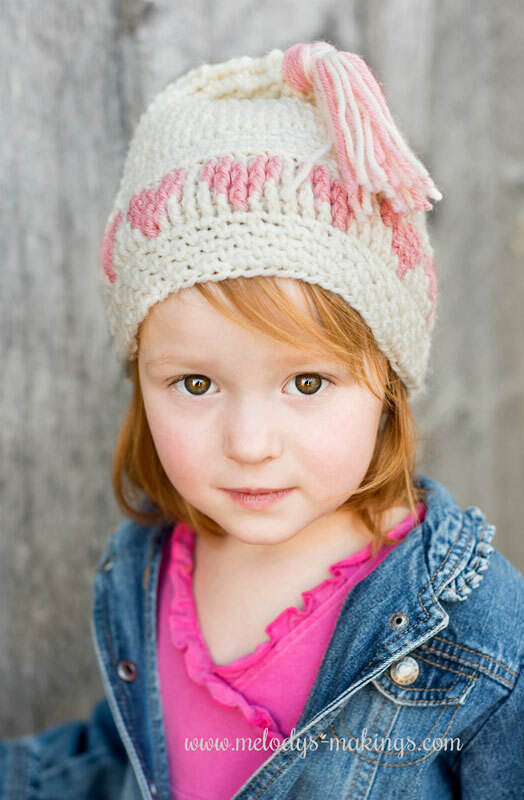 This stocking style hat features fun hearts and is the perfect gift to tell little ones you care. I’m sharing the pattern free today in hopes that it helps you create that extra special gift for somebody this year. 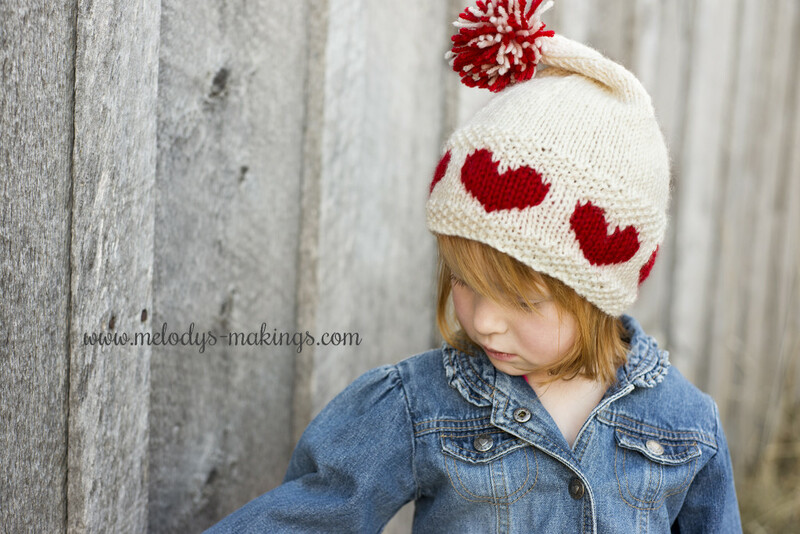 This free Valentine’s Day Hat Pattern comes in both knit and crochet and features worsted (4) weight yarn. Thank you! I prefer the knitted version! Thank you so very much for your sweetie cute hat pattern. Love this hat, thank you! Love this adorable hat pattern — thank you! Thank you so much for this cute hat pattern. Thank you so much for all of your lovely patterns. I can’t wait to knit this! I may put down all my current wip for this! What fun. adorable pattern, I shared your facebook page on my timeline….your most recent post….this hat with the hearts is adorable….. Thank you! Really appreciate your free patterns in crochet. I would love the crochet pattern for this lovely hat.Thank you. Thank you! I would love the knit pattern. Thank you so much for this darling pattern! I have 5 little neices who will look adorable in it! Shared on FB! So cute! I almost got this one for my granddaughter when you offered a free pattern a week or two ago, but decided to get something for myself cause I never do. Must have been fate, cause here it is. Thank you for the pattern! Just complete form right above. Posted on Pinterest! Thanks for the knitted version! Thanks Shared on Facebook and on Ravelry. I am a knitter. I would like the crochet pattern please. Thank you, the cap is adorable.